I’m sure everybody’s familiar with the centuries old adage about sparing the rod and spoiling the child. I for one had always thought it to be a pretty harsh take on parenting. After all aisa bhi kiya ke ya idhar ya udhar …. kuch tau middle ground hona chahye na, nahin? Well, lets just say that all that was in the past. Today I’m a reformed woman. After having watched these two beyond cuckoo sisters, I have rethought my stance on parenting and tough love – yes, ladies, please don’t be afraid to hand out a whack or two on your children’s butts. Trust me you’ll be thankful years later. No, I’m not endorsing corporal punishment, no, not at all, just saying ke agar amaa aur abba ne bachpan main hi apni in donon larkiyon ko shutup call de di hoti to aaj un ko aur un ke saath hum sab ko bhi yeh din dekhna na parta …. Can someone please please muzzle these two girls? Enough already!!! Moving beyond the two insane sisters, played superbly by Aamina Sheikh and Mira Sethi by the way, I just have to say ke I keep wondering about our two guys, Mikaal and Bilal. For two reasonably intelligent, charming, easy on the eye guys, what is it that they see in these girls? Aqal se tau donon hi paidal hain, bolne ko aati hain tau bina kuch soche samjhe, bina aage peeche dekhe, bas far far shuru ho jati hain. Haan, admittedly both girls are good looking, but seriously?! Aaj tau I was more than aggravated with both the sisters. Here are the guys trying their best to jhaaro some romance, and these two idiots …. Rather than celebrating her reunion with her relatively new husband, all Natasha wanted to do was go on with her bak bak, Mehjabeen ne aisa kyon kaha waisa kyon kaha … arrey larki, take a chill pill. Similarly the older one too, earlier when Mikaal was trying to turn on the heat, madam Zaib was laughing in his face – had hai!!! Samira and Shehrazade need to tell all of us ke aisey saabir o shaakir bandey kahan milte hain? I’m sure many among us want to know! Apart from the never-ending rivalries and the constant games of one-upmanship, which are now seriously beginning to grate on my nerves, there was development in the story in that Zaib got engaged to Mikaal and Natasha made it to the US. Lost amidst all the craziness was the quiet, understated Rayaan. Adeel made his by now standard five minute appearance, and while he did not say more than three four sentences, his soon-to-be-ex got in a lot more that. So here’s my question: Is Adeel merely making a guest appearance? I am thoroughly enjoying Vasay Chaudhry as Mikaal, so don’t have any complaints about his character, but seriously, is Rayaan ever going to do something other than glowering? And, while I’m counting down my grievances, can we please just be done with the whole goth and Dilawar track? I continue to back Silvatein as one of the more intelligent serials on air these days and am still enjoying it, but it really needs to move now. Someone needs to sit down and seriously cut down on the incessant fighting between sisters, shorten the Dilawar track, and PLEASE give more screen time to Adeel Husain aka Rayaan. Given all these issues this latest episode was a mixed bag for me. Here’s to hoping the story picks up pace from hereon. Amidst all the other stuff going one in this episode, I was pleasantly surprised to hear a favorite song of mine playing in the background. For those who might not be familiar with it, here’s the video… Enjoy! Totallly agree! My nerves are really being tested by these crazy sisters….I can’t take it anymore! Zaib is just so full of herself that she couldnt even apologize, she hates Natasha that much! 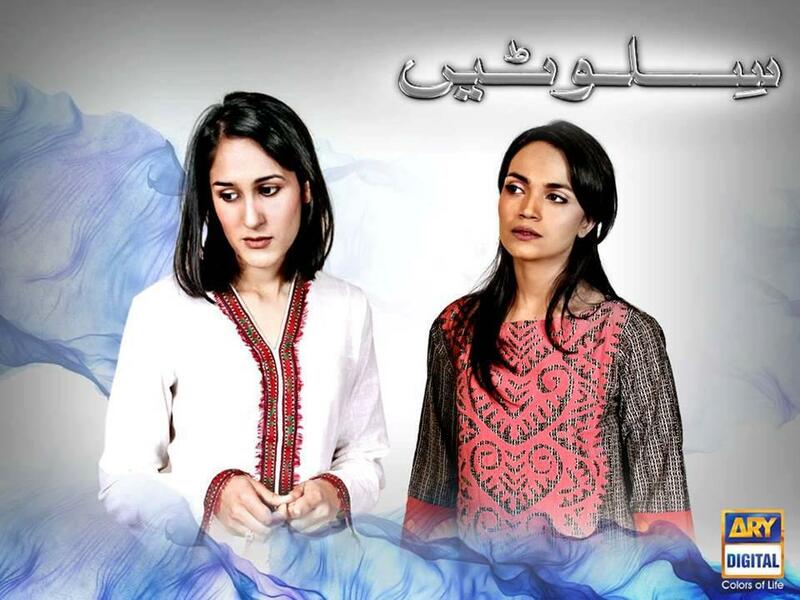 Aur natasha waqai bak bak doesnt stop….I am seriously feeling bad for mikaal and Bilal! Mikaal was so right in thinking that zaib might start treating his mom like that, I think he will break it off! They are dragging the dilawer story too much…beyond boring! Oh and seriously looks Adeel Hussain is really doing only a guest appearance….what’s going on??? He comes up on the main banner and yet only has one scene an episode! Very disappointed and annoyed…hoping they get moving in coming episodes! they’ve just been at it, since the first episode, always trying to up one. getting annoying now. I cannot believe Adeel Hussain is hardly in the drama! And why does she need to tell Dilawar that “oh i am getting engaged to Mikaal’. How is that even relevant to anything? Join you on that one SK really was watching this to see Adeel … challo saber .. I was so aggravated by the two sisters. Oh, God! Aaj tou had kar di donon ne! I might be a little biased, but I sometimes can see where Zaib’s coming from – Natasha, though, is a COMPLETELY different story! Zaib was wrong about not apologizing to Muneezay, but all the stuff that Natasha said?! She really needs to think her words through, I feel like she doesn’t even think for herself. She’s in this little fantasy world that Zaib’s after the things she has – I mean, please. This girl needs a reality check. But, I agree, they’re both being played brilliantly by the respective actresses! Something that I found really interesting today, and thoroughly enjoyed, was the little implication about how similar Zaib and Rayaan really are. The fact that Zaib defended her mistake and didn’t apologize to Muneezay, and the fact that Rayaan did the same with Mahjabeen, really did show just how similar these two headstrong characters really are! I absolutely enjoy Mikaal’s character, but I genuinely do believe that he cannot handle Zaib. She needs someone like Rayaan, someone just as stubborn who can make her see sense without forcing her to, I guess. Either way, such a treat to watch. P.S. And LOL, the ‘lets-try-to-be-romantic’ scenes were so funny! I feel terribly sorry for Bilal – all of his cheesy dialogues were ignored by Natasha’s Mahjabeen rant. I agree with you! I think Natasha is the more evil one in all this. She silently dials people in their convo, records other people’s convo, and when she went ahead and called Mikaal’s mother, I think that was really crossing the line there. Fine Zeb is messed up in her own way and should have apologized to Muneezay but Natasha really needs to chill. She loves gossip. Even after she reaches USA to her husband, all she cares about is Rayaan’s marriage problems! Jeez woman, 2 minute apni zindagi aur husband ko bhi dihaan do. Your right, maybe Rayaan is the only guy who can handle a character like Zeb. @ASh and @Nikki: Agree with both of you ladies! Nikki: interesting comoarision you make between Zaib and Rayaan .. and I am now looking forward to seeing how this plays out .. now if only Adeel H could extend his guest appearance from 5 to 9 mins per episode! These two crazy sisters are blowing my mind away…tameez se baat karna tou duur ki baat they don’t understand each other even…and their issues are lamest ones ever.. despite being such great acting by both Aamina and Mira.. i so need a break from their silliest fights…they were heck annoying today! Thank goodness Natasha is in US now…:D and she is so so and so non-romantic…poor and cutoo sa Bilal sahi se khush bhi nh so saka.. his ‘jaan’ was busy discussing her jithani…and i seriously hope Mahjabeen doesn’t manipulate her..as Natasha ( thanks to her track record) seems to be her easiest prey.. and story now gets really interesting! baqi their amaa (good for nothing) is as always ‘koi mujhe bhi to bataye’..bibi ab time gaya batane ka..
@Rehmat – glad at least koi toh enjoy kar raha hai! I swear at times it really puts me to sleep. LOL.. really??!! 😀 and let me guess it puts you to sleep during dilawer scenes 😉 ? @Tez – hey! 🙂 HAHA @ “pull my high maintenance hair” . Speaking of phupho, where the heck is she ??! High time she comes back! Yeah! I want Phuppo to pull up Ma…and teach Zaib a lesson for packing her off! its definitely a nice, slow paced drama that definitely needs to pick up now, but for some reason I’m enjoying it. I watch it more as a tv series rather than a drama. I agree with you, somewhere along the way the parents did not do a good job in disciplining their daughters. Zaib is really insecure about herself. Zaib does this just so she shows people that she is a good and caring person, but she can’t even hold onto kinship. If you’re truly a social worker, it starts from the home not the other way around. I must say though, that there are many people like her in this world. Natasha is completely immature. Even though people may disagree, but i think Natasha is real. Whatever she is she is, she doesn’t put on a facade. Her flaws are not hidden whereas Zaib’s are. I like how samira fazal is showing such depth in each person’s personality. People like that do exist. @swirvey road: I agree both these sisters are so relatable, and at times frighteningly so, and its to Samira’s credit for giving such characters, but yeah in terms of the serial much as I find their lines hilarious, they really should move .. hopefully next week brings new revelations! Totally agree with all u say …. I think Vasay Ch. should have figured prominently on the show’s banner coz he’s had more screentime than any other guy (no complaints) but strange that there’s no sign of him there? Ab aagay aagay dekhiay hota hai kya?